Peter Kimani’s Dance of the Jakaranda is up for the Frederick Forsyth chaired People’s Book Prize. Let’s vote for the man. The People’s Book Prize was founded in 2010 by UK resident Tatiana Wilson to ensure that new authors are given equal opportunity in the marketplace, based purely on their talent and ability. The prize is supported by Frederick Forsyth author of The Day of the Jackal, The Odessa File and multiple bestsellers. The British author in chairing the initiative wanted to encourage authors to pursue a career in writing that will prove long and successful. 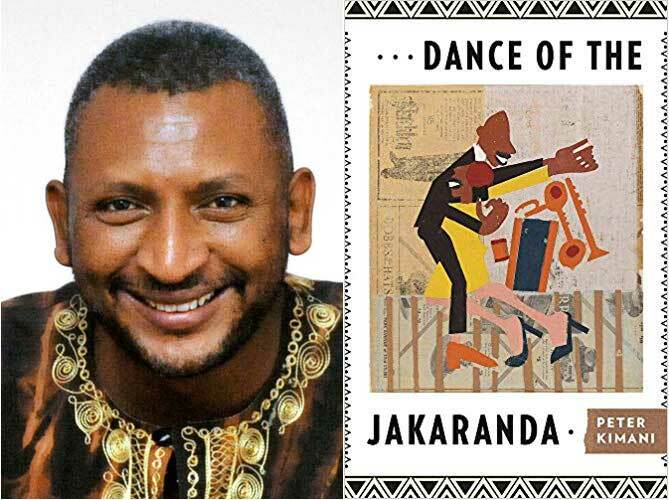 This year Kenyan novelist and poet is up for the prize for his book Dance of the Jakaranda. The book follows the railway that was built from the coast of Kenya to Lake Victoria using three characters. The book was nominated for the Hurston/Wright Foundation Legacy Awards 2018, the UK’s Big Book Prize, and made the New York Times Notable Books of 2017 list. The book is now up for The People’s Book Prize and we ask that you send your votes the way of our brother. Click here to vote. Previous Previous post: Ama Ata Aidoo to headline Mboka Festival 2019. Next Next post: Scholastique Mukasonga novel “Our Lady of the Nile” now in German.